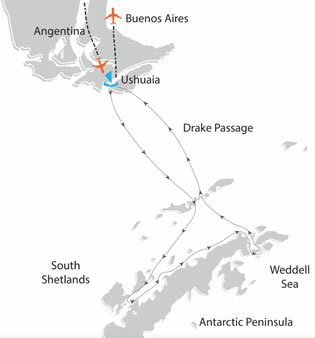 Adonis Gay Holiday & Source Events invites you to join a group of gay travelers on a luxury polar expedition cruise to the heart of the icy realm that is the Antarctica Peninsula. 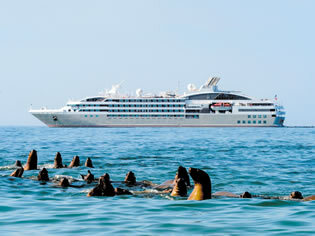 Embark on an unforgettable 11-day voyage and succumb to the enchantment of the breathtaking landscapes inhabited by astonishing wildlife. No place on Earth compares to this vast while wilderness of elemental forces: snow, ice, water, and rock. 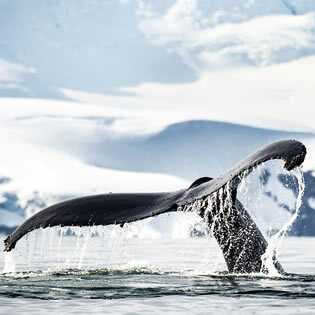 Antarctica is simply stunning, with it’s surreal remoteness, enormous ice shelves and mountain ranges, and some of the world’s most extraordinary species. To let our minds soar in a place nearly free of humankind’s imprint: This is magic! 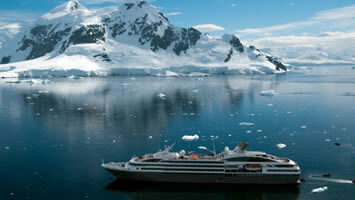 • Discover extraordinary landscapes in an incredible setting: glaciers, icebergs, ice floe, and mountain ranges. • Polar Parka for you to keep, port fees, and wine beer and soda with lunch. 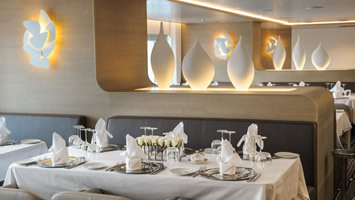 The comfort of your ship and your stateroom, personalized and attentive service, refined gastronomy: a very special atmosphere that we take great care to maintain. 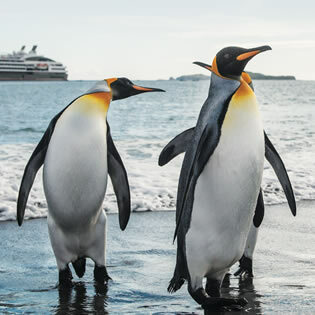 In the heart of the ice floes of the Arctic and the Antarctic, our luxurious services will ensure that your expedition cruise is an unforgettable experience. 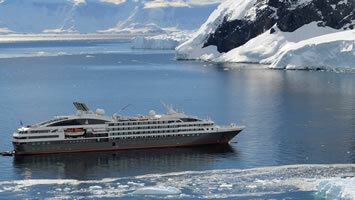 With almost 20 years of experience in the extreme regions, Ponant, the world’s number one polar cruise company, is a real polar specialist. 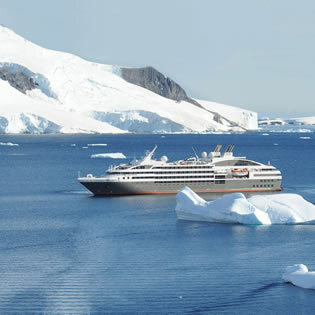 Ponant will take you to the most remote regions in total safety: our Captains and crew are professionals, specially trained to sail in icy waters. 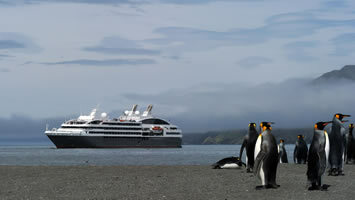 Ponant latest-generation fleet has the most modern technology to guarantee both your safety and respect for the regions visited. The size of our ship means we can get as close as possible to areas that are difficult to reach, offering a privileged access to preserved sites. 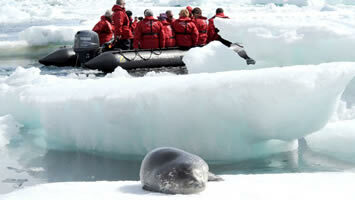 Our flexibility enables us to adapt to the surprises inherent to these expedition itineraries. 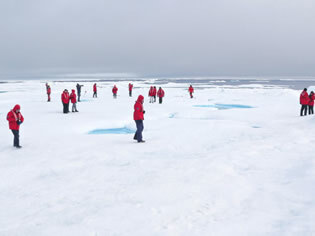 • To discover extraordinary landscapes in an incredible setting: glaciers, icebergs, ice floe, mountain ranges. • For a unique adventure sailing in the wake of Jean-Baptiste Charcot, Adrien de Gerlache and Sir Ernest Shackleton, great explorers of these uninhabited lands. 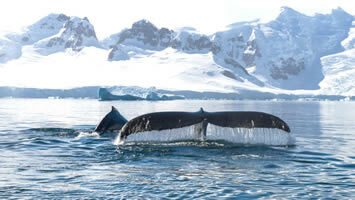 • For encounters with exceptional wildlife: whales, seals, penguins, fur seals, albatrosses, and other seabirds. Area : 45 m²; Situated on Deck 6; Decorated by French designers; Breathtaking panoramic sea view; Individually-controlled air-conditioning; King-size bed or twin beds Shower; Minibar; Flat screen; satellite TV; Desk with stationery; Ipod™ players; Video on demand; safe; Hairdryer; Bath robes; Satellite direct line telephone; 110/220 volts outlet; French bath products; 24hr room service; Internet acces wifi. Area : 36 m²; Situated on Deck 6; 8m² private balcony; Individually-controlled air-conditioning; King-size bed or twin beds; Shower; Minibar; Flat screen; Satellite TV; Desk with stationery; Ipod™ players; Video on demand; Safe; Hairdryer; Bath robes; Satellite direct line telephone; 110/220 volts outlet; French bath products; 24hr room service; Internet access wifi. 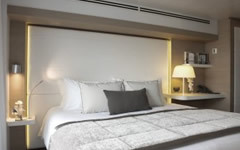 Area : 36 m²; Situated on Deck 5; 8m² private balcony; Individually-controlled air-conditioning; King-size bed or twin beds; Shower; Minibar; Flat screen; Satellite TV; Desk with stationery; Ipod™ players; Video on demand; Safe; Hairdryer; Bath robes; Satellite direct line telephone; 110/220 volts outlet; French bath products; 24hr room service; Internet access wifi. 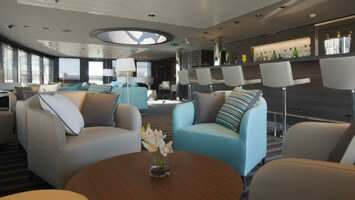 Area : 27 m²; Situated on Deck 6; Private balcony. 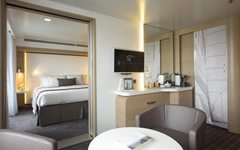 Individually-controlled air-conditioning; King-size bed or twin beds; Shower; Minibar; Flat screen; Satellite TV; Desk with stationery; Ipod™ players; Video on demand; Safe; Hairdryer; Bath robes; Satellite direct line telephone; 110/220 volts outlet; French bath products; 24hr room service; Internet acces wifi. 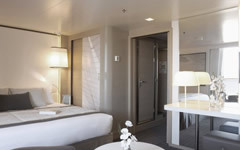 Area : 18 m²; Situated on Deck 6; Private balcony; Individually-controlled air-conditioning; King-size bed or twin beds; Shower; Minibar; Flat screen; Satellite TV; Desk with stationery; Ipod™ players; Video on demand; Safe; Hairdryer; Bath robes; Satellite direct line telephone; 110/220 volts outlet; French bath products; 24hr room service; Internet acces wifi. 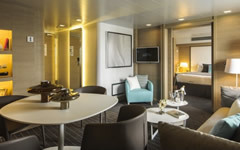 Area : 18 m²; Situated on Deck 5; Private balcony; Individually-controlled air-conditioning; King-size bed or twin beds; Shower; Minibar; Flat screen; Satellite TV; Desk with stationery; Ipod™ players; Video on demand; Safe; Hairdryer; Bath robes; Satellite direct line telephone; 110/220 volts outlet; French bath products; 24hr room service; Internet acces wifi. Area : 18 m²; Situated on Deck 4; Private balcony; Individually-controlled air-conditioning; King-size bed or twin beds; Shower; Minibar; Flat screen; Satellite TV; Desk with stationery; Ipod™ players; Video on demand; Safe; Hairdryer; Bath robes; Satellite direct line telephone; 110/220 volts outlet; French bath products; 24hr room service; Internet acces wifi. 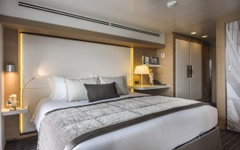 Area : 18 m²; Situated on Deck 3; Private balcony; Individually-controlled air-conditioning; King-size bed or twin beds; Shower; Minibar; Flat screen; Satellite TV; Desk with stationery; Ipod™ players; Video on demand; Safe; Hairdryer; Bath robes; Satellite direct line telephone; 110/220 volts outlet; French bath products; 24hr room service; Internet acces wifi. Area : 21 m²; Situated on Deck 3; Individually-controlled air-conditioning; King-size bed or twin beds; Shower; Minibar; Flat screen; Satellite TV; Desk with stationery; Ipod™ players; Video on demand; Safe; Hairdryer; Bath robes; Satellite direct line telephone; 110/220 volts outlet; French bath products; 24hr room service; Internet access wifi. Single occupancy: individuals who prefer a cabin to themselves will be charged a 100% surcharge of the double occupancy rate. Share Occupancy is available. 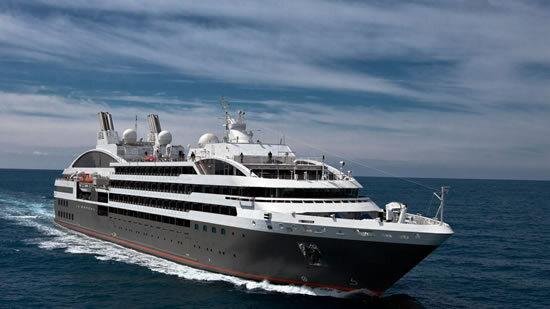 All prices in U.S. dollars and are cruise tour only. Initial deposit is 10% pp, Second deposit of 15% is due on January 14, 2019, Third deposit of 25% is due March 10, 2019, Forth deposit of 40% is due July 1, 2019. Final payment is due October 1, 2019. Passports must be valid for at least 6 months from the return date. You must have at least two consecutive blank pages in your passport.